- Carmella continues to train with The New Day as she and Big E prepare to face The Miz and Asuka in this week's WWE Mixed Match Challenge match-up. 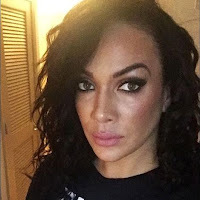 - The main event of weekend WWE 205 Live live events saw WWE Cruiserweight Champion Enzo Amore retain over Cedric Alexander, thanks to an assist from special referee Nia Jax. Alexander took a Samoan Drop from Jax both nights. Above is video from Sunday's show in Poughkeepsie, New York. - The shenanigans between Mixed Match Challenge partners WWE United States Champion Bobby Roode and SmackDown Women's Champion Charlotte Flair continue in this new backstage video. Roode and Flair will face Nia Jax and Apollo Crews in Week 6 of the tournament.